Not to be confused with Terespol. Tiraspol (Russian pronunciation: [tʲɪˈraspəlʲ]; Russian and Ukrainian: Тирасполь, Romanian pronunciation: [tiˈraspol]) is internationally recognised as the second largest city in Moldova, but is effectively the capital and administrative centre of the unrecognised Pridnestrovian Moldavian Republic (Transnistria). 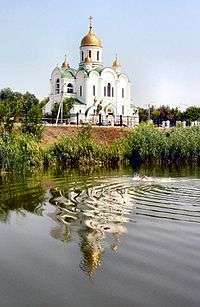 The city is located on the eastern bank of the Dniester River. Tiraspol is a regional hub of light industry, such as furniture and electrical goods production. The toponym consists of two ancient Greek words: Τύρας, Tyras, the Ancient name for the Dniester River, and polis, i.e., a city (state). Tyras (Τύρας), also spelled Tiras, was a colony of the Greek city Miletus, probably founded about 600 BC, situated some 10 kilometres (6 miles) from the mouth of the Tiras River (Dniester). Of no great importance in early times in the 2nd century BC, it fell under the dominion of indigenous kings whose names appear on its coins. It was destroyed by the Thracian Getae about 50 BC. Such ancient archeological remains are scanty, as the city site was built over by the great medieval fortress of Monocastro or Akkerman. During the Middle Ages, the area around Tiraspol was a buffer zone between the Tatars and the Moldavians, and inhabited by both ethnic groups. The Russian Empire conquered its way to the Dniester River, taking territory from the Ottoman Empire. In 1792 the Russian army built fortifications to guard the western border near a Moldavian village named Sucleia. 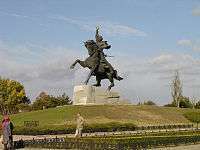 Field Marshal Alexander Suvorov is considered the founder of modern Tiraspol; his statue is the city's most distinctive landmark. The city took its name from Tyras, the Greek name of the Dniester River on which it stands. Transnistria parliament building in Tiraspol. In front is a statue of Vladimir Lenin. 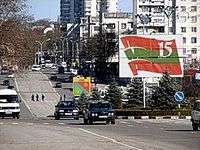 On January 27, 1990, the citizens in Tiraspol passed a referendum declaring the city as an independent territory. The nearby city of Bendery also declared its independence from Moldova. As the Russian-speaking independence movement gained momentum, some local governments banded together to resist pressure from the Moldovan government for nationalization. On September 2, 1990, Tiraspol was proclaimed the capital of the new Pridnestrovian Moldavian Soviet Socialist Republic. The new republic was not officially recognized by Soviet authorities; however, it received support from some important Soviet leaders, such as Anatoly Lukyanov. 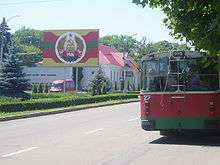 After the dissolution of the Soviet Union, the territory east of the Dniester River declared independence as the Pridnestrovian Moldavian Republic (PMR), with Tiraspol as its capital. It was not recognized by the international community. 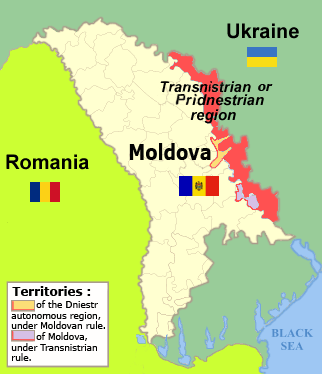 As result of the political and economic situation that followed the proclamation of the independent (unrecognized) Pridnestrovian Moldavian Republic, as well as large Jewish emigration in the early 1990s, the population of the city fell below its 1989 number and the 2004 Census in Transnistria put its population at 158,069. The Latin Catholic minority was served by its own Roman Catholic Diocese of Tiraspol (originally called Cherson), which at times also covered part of neighbouring Romania and Russia, until its 2002 suppression and merger into the Russian Diocese of Saint Clement at Saratov. Sheriff Tiraspol & FC Tiraspol. Sheriff is the most successful Moldovan football club of recent history, winning every league title since the 2000-2001 season, and 6 Moldovan Cups. A third club, CS Tiligul-Tiras Tiraspol, withdrew from competition prior to the 2009-2010 season. Tiraspol is home to the Sheriff Stadium, the largest capacity stadium in the region, with a capacity of 14,300 seats. 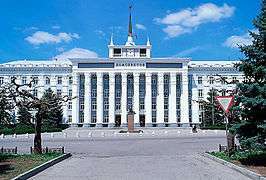 Tiraspol features a humid continental climate that closely borders an oceanic climate and has transitional features of the humid subtropical climate due to its warm summers. Summers are mild, with average monthly temperatures at around 21 °C (70 °F) in July and August. Winters are cold, with average temperatures in the coldest month (January) at −2.7 °C (27 °F). Precipitation is relatively evenly spread throughout the year, though there is a noticeable increase in monthly precipitation in June and July. Tiraspol on average sees nearly 500 mm (19.69 in) of precipitation per year. Nikolay Zelinsky, the inventor of the first effective filtering activated charcoal gas mask in the world (1915), Russian and Soviet chemist, academician of the Academy of Sciences of USSR (1929). ↑ Ісаєв, Дмитро (2008). Історія України. Ілюстрований атлас [History of Ukraine. An Illustrated Atlas.] (PDF) (in Ukrainian). Kiev: Інститут передових технологій. p. 33. ISBN 978-966-7650-49-0. ↑ "Trans-Dniester blast kills eight". BBC News. July 6, 2006. 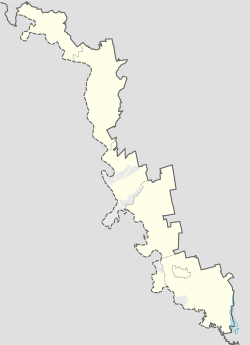 Wikimedia Commons has media related to Tiraspol. Wikivoyage has a travel guide for Tiraspol.